Start from the town of Agios Nikolaos, where you will be guided at the center of the picturesque town. After the short guided tour, relax and drink a coffee. Then arrive at the small village of Elounda, from where the boat begins the cruise to Spinalonga. 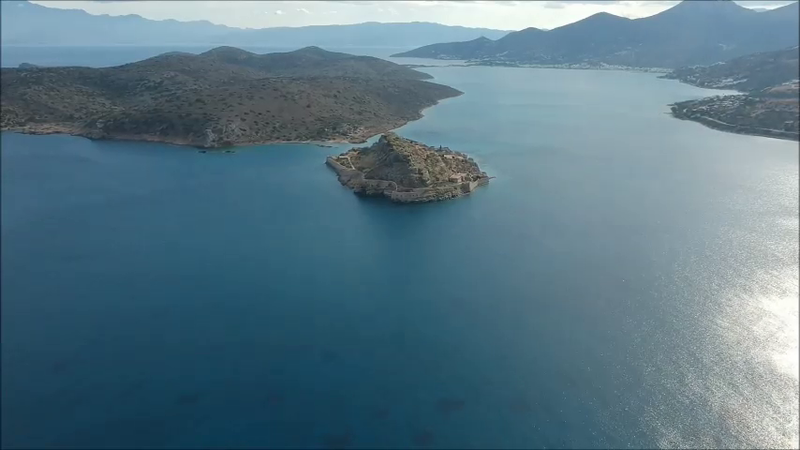 Before the visit to Spinalonga, enjoy swimming at the small beach of the nearby Kolokitha bay accompanied by a tasty BBQ. Then arrive on the island of Spinalonga (also known as the island of tears) and learn about its different roles in history. Spend a day at the "Carribean" of Crete and give your holiday an exotic feel. 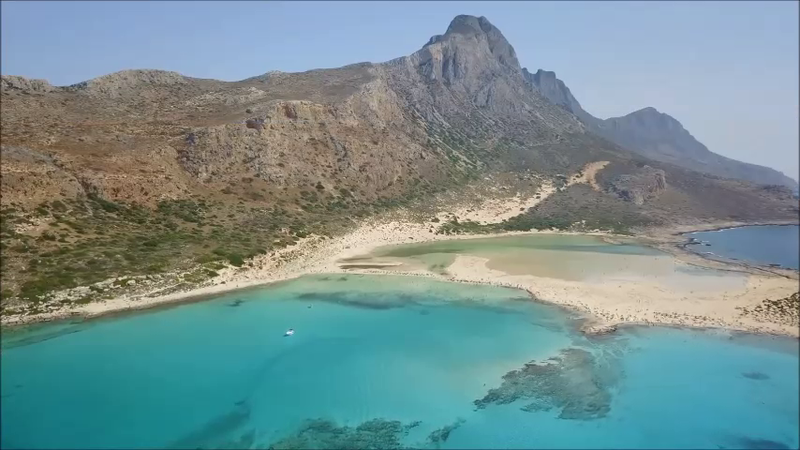 It is no other than Chrissi island, located at the southeast part of Crete. Starting from the port of the small fish town of Ierapetra, embark on the boat and enjoy a one hour cruise in the Libyan Sea. 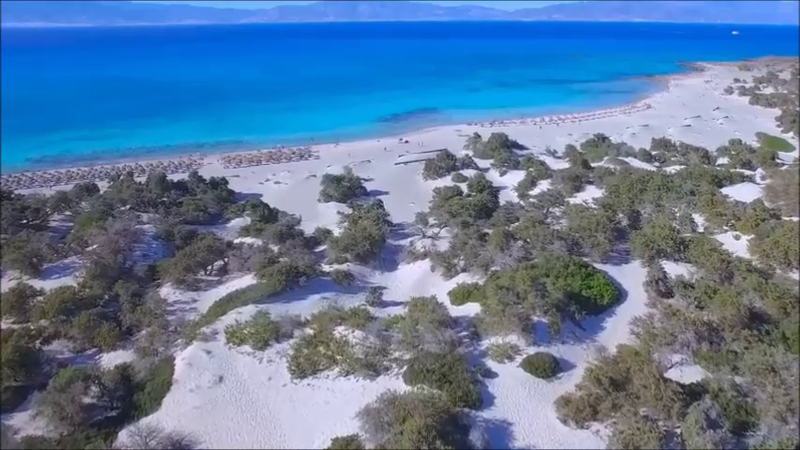 After that you will have the chance to relax on the “Golden Beach”, one of the most beautiful beaches of Crete or explore this small yet full of history island. Crete is an island full of tradition, religion, and mythology. Explore this fascinating side of the island by visiting the Lassithi plateau and the Minoan palace of Knossos. The Lassithi plateau is located at the east side of Crete, on the region of Lassithi. Start your tour with the Monastery of Kera Kardiotissa and learn about its miraculous icon and impressive frescoes. Then continue to the village of Psychro, where you can visit the astonishing cave of Zeus, the father of the Olympian gods. It is a destination of nature and mythology interest. Then visit a pottery workshop, where you will see a craftsman in action, and have a lunch stop (optional) at Seli Ampelou, with a panorama of the old windmills and the plateau. 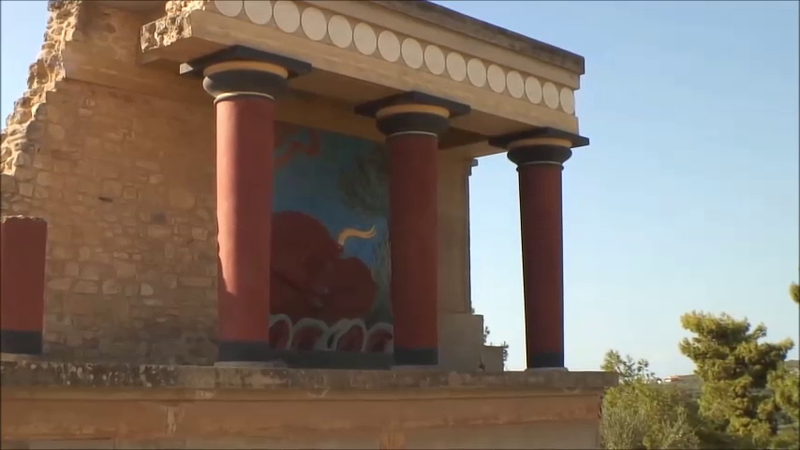 Finally, visit the Minoan palace of Knossos, where the first civilization of Europe was formed 4000 years ago. If you are the type of tourist who loves nature and trekking, the gorge of Samaria is a must for you to visit. It is located on the southwest part of Crete, south of Chania. Not only it is the longest gorge in Europe, but it is full of breathtaking natural views. You will reach the entrance passing through the Omalos plateau. After that, your walking starts and it will end at the village of Agia Roumeli, where you can relax by eating on a lovely greek tavern and/or by swimming on its lovely beach. Then you can enjoy a one-hour boat trip back to the village of Sfakia, the revolutionary village, where you will start your way back to your place. The whole tour of the Samaria gorge offers the visitor opportunities to admire the wild side of nature on Crete. From the views of Omalos plain, the highlights of nature and history in the gorge to the calm coastal village of Agia Roumeli, your eyes are going to be amazed by the end of this full day. A tour not to be missed. If you thought that Crete was all about beaches, one tour to the Lassithi plateau will make you change your mind. 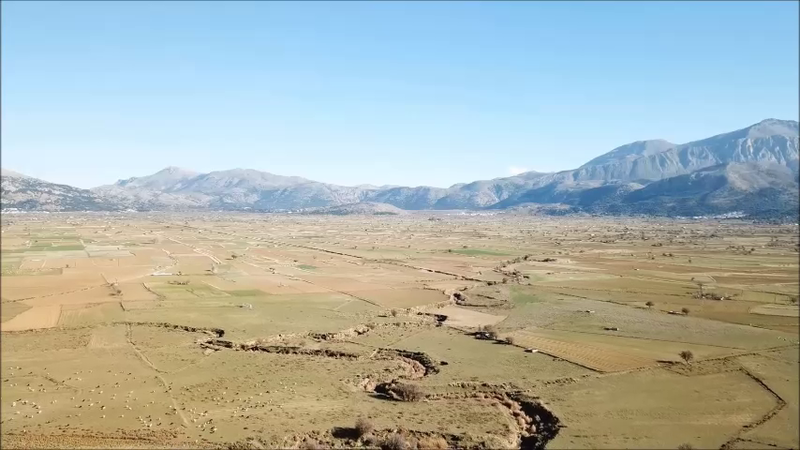 The plateau is located at the east side of Crete, on the region of Lassithi. A very fertile land, it used to be full of windmills that were used by the residents two centuries ago. Religion, tradition, and mythology are found all together in this place. Start your tour with a visit to the monastery of Kera Kardiotissa, with its miraculous icon of Mary and ancient frescoes. Then pass your way through the plateau until the village of Psychro, where the Diktaean cave is located. This is where Zeus, the father of the gods was born. Learn about the fascinating mythology through your visit to the cave. After that, you can make the last stop during your descend to the picturesque village of Krasi. Enjoy a refreshing stroll on the small square of the village and admire one of the oldest and bigger plane trees of the Mediterranean sea. 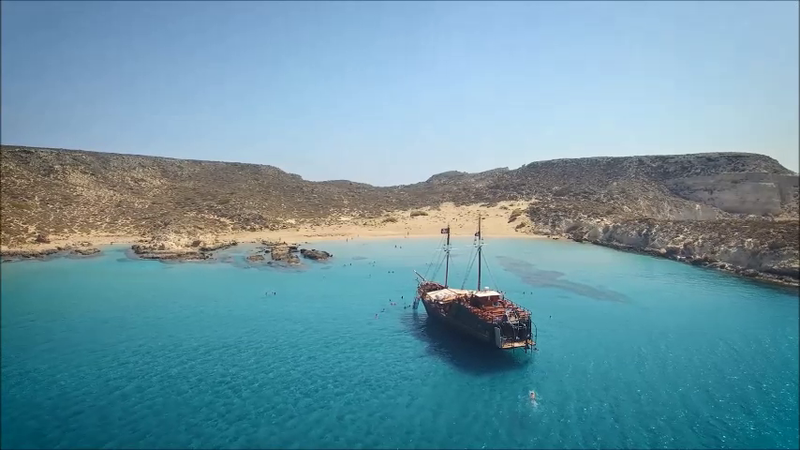 Explore the island of Gramvousa, the “pirates” island located on the Gulf of Kissamos, at the northwest part of Crete. Starting from the port of Kissamos, enjoy a one hour and 15 minutes cruise to the island. Arriving, climb up to the Venetian fortress, feel like a pirate and enjoy the magnificent view of Balos lagoon. After the visit to the fortress, swim in the crystal clear waters of the island and/or go back to the boat. Then take the boat for another 15 minutes to the lagoon of Balos. Swim on its crystal clear and shallow waters and admire its pink-ish sand, consisted of thousands of crushed shells. Find yourselves learning about the history and culture of Crete by joining us on the tour to Knossos, Museum, and Heraklion. 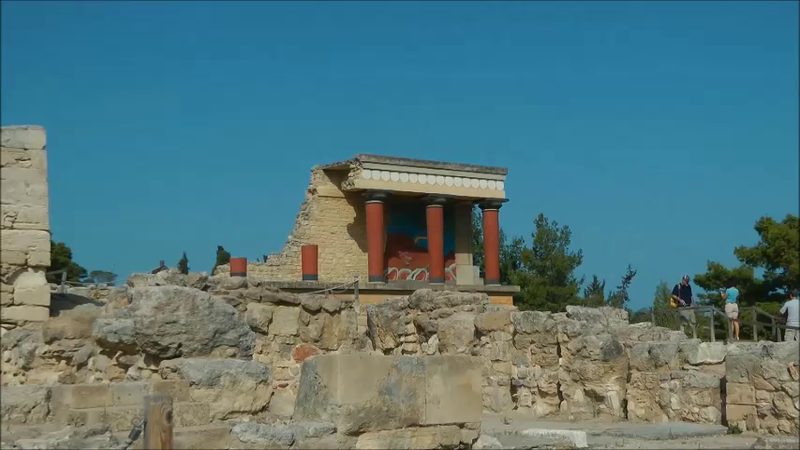 Starting from the Minoan palace of Knossos, discover with a guided tour the history of the 4000-year-old Minoan civilization, maybe the first European civilization. Then proceed to the Archeological Museum of Heraklion, with findings covering a span of 5,500 years of Cretan history. In the museum, there is also a guided tour. Finally, visit the center of Heraklion, where you will have free time to stroll in the streets with shops, cafes, and monuments of the island’s more recent history. Enjoy a whole-day tour to the west side of Crete, which is considered by many the most beautiful side of the island. Start from the town of Rethimno, west from Iraklion, where you will see traces of the Venetian and Ottoman era along with its fascinating old town. 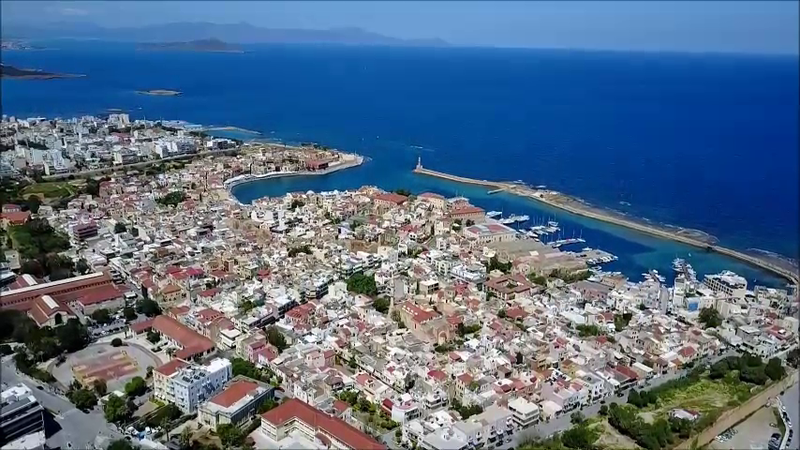 Then continue more to the west to the city of Chania, the so-called little “Venice” of Crete. From its Agora (market) to the Harbor the beauty of this city will amaze you. Finally, find yourselves on the only sweetwater lake of Crete, the lake of Kournas, and be impressed by its unique ecosystem and nature. Discover the island of Koufonisi, a yet unspoiled island called by many “paradise on earth”. Start from the port of Makrygialos, at the southeast part of Crete, with a pirate ship to the island. The boat will dock close to it and you will be able to swim in the crystal clear waters of the beach. Explore this island full of history and nature beauty and enjoy a relaxing cruise on the Libyan sea. Get ready for an exciting day full of fun. 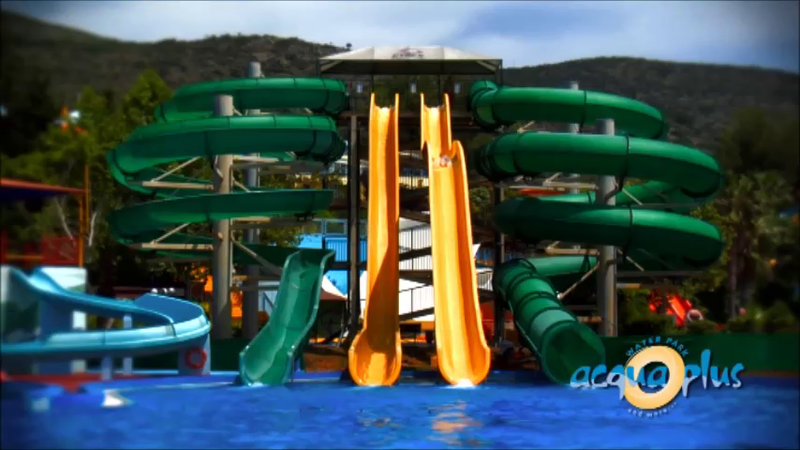 Discover the Acqua plus water park, one of the largest water parks on Crete, filled with over 50 water slides and games. Live the adrenaline on extreme slides, relax on calm swimming pools and feel like a child again.